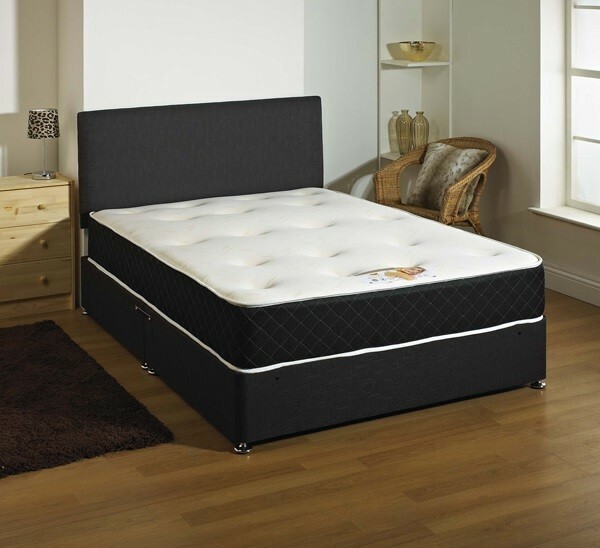 The Kensington 6ft Super King Size Divan Bed comes with a 1000 Pocket Spring Memory Foam Luxury Mattress. This Mattress is constructed around 1000 count pocket spring units with ultra-supportive layers of high density visco elastic Memory foam to distribute pressure and to provide ultimate comfort and support. Each Spring is sewn into an individual fabric pocket allowing it to move independently and respond to the body's every movement and contour. Divan Base comes in 2 pieces with castors and attachments for headboard. Divan Base will comes in two vertical split halves.